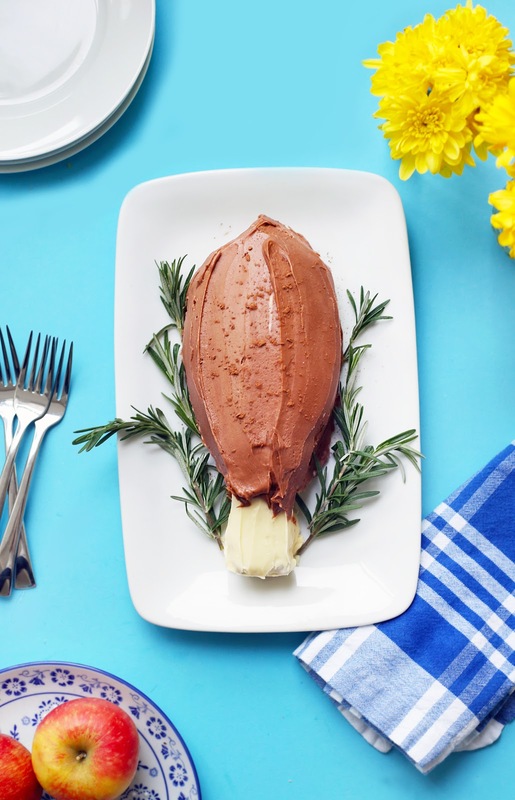 How To Make a Turkey Leg Cake / Hey, EEP! This cute Thanksgiving dessert's for all of my cake-lovers out there! Sure, pie takes center stage on turkey day. But that doesn't mean you can't shake things up a bit with a drumstick pound cake that's cute, easy and sweet as, well, pie! The base of this recipe is a simple pound cake. I made one from cake mix because I was short on time. You could bake on from scratch or even snag one from the grocery store. All that's left to do is carve that baby up and cover it with frosting! Pro tip: Freeze the cake before carving to make the crumbs firm and easy to slice. A drumstick's super easy to make. Use a small knife. Cut a small piece for the bottom, them slice the top into a rounded oblong shape. You know I like some flare on the plate, which is why I surrounded this gem with rosemary on a white porcelain platter. It's what I had in the fridge. You could use fresh mint, sage, grapes, whatever you'd like. 2. 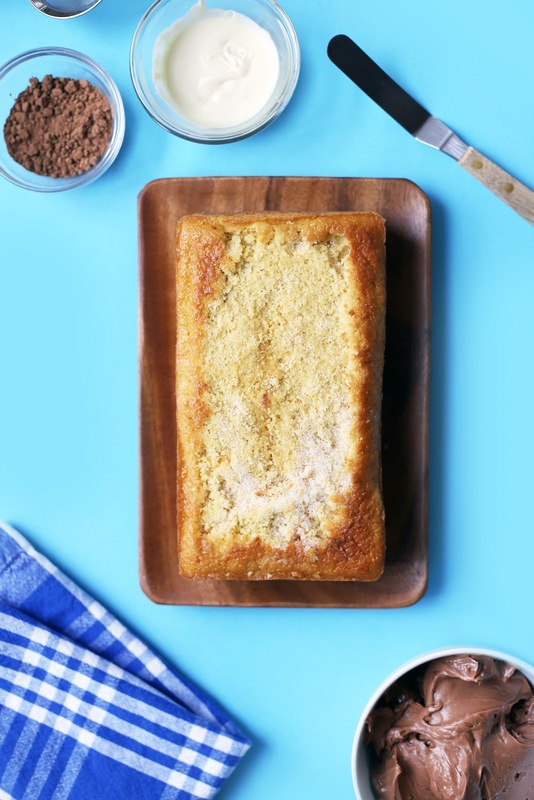 Cover the entire cake with a thin layer of chocolate frosting for a crumb coating. Refrigerate, uncovered, until firm, about 30 minutes. 3. 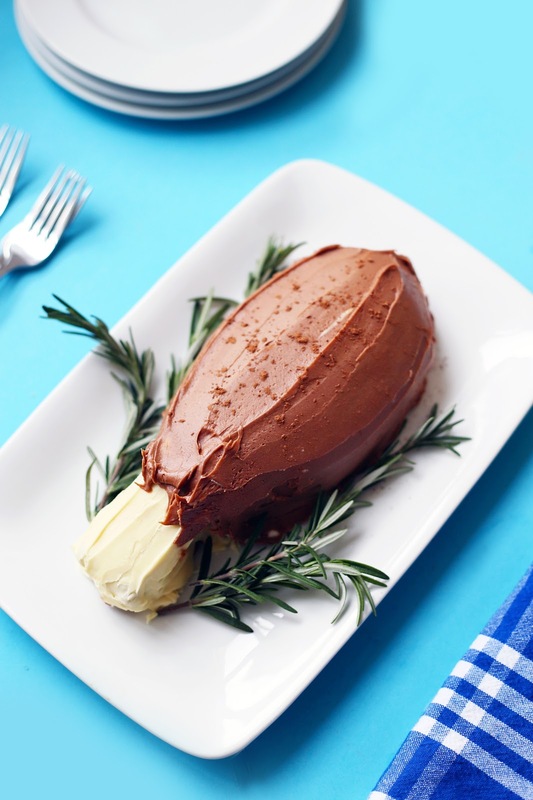 Cover the top half of the drumstick with more chocolate frosting. Cover the bottom of the drumstick with melted white chocolate to create the "bone." Refrigerate again until firm. 4. Add more chocolate frosting to the top of the drumstick, if needed. 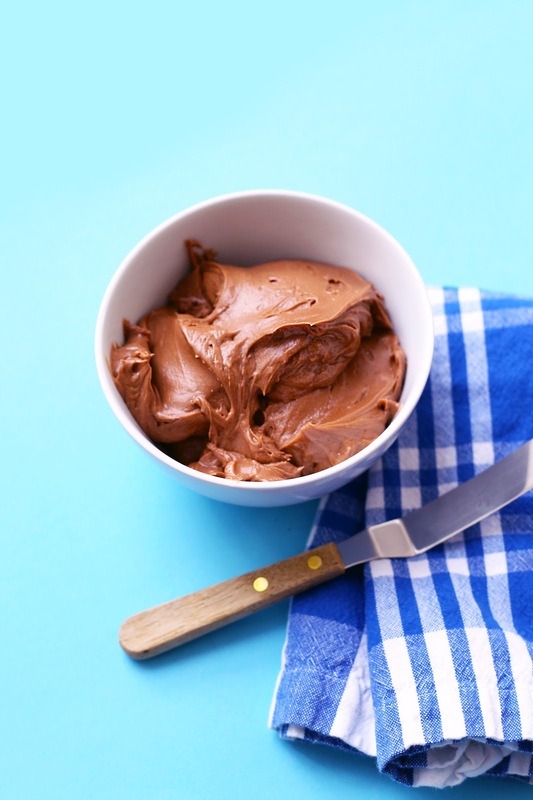 You can bring the chocolate frosting down over the cold, hard white chocolate a bit to complete the look if you'd like. 5. Transfer to a serving plate. Sprinkle with cocoa powder and surround with rosemary, if desired. Happy baking. Happy caking. Happy Thanksgiving, friends!